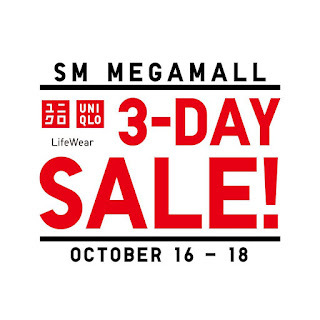 UNIQLO SM Megamall 3-day SALE happens from October 16-18, 2015. Enjoy great discounts and exclusive offers only at UNIQLO SM Megamall branch. 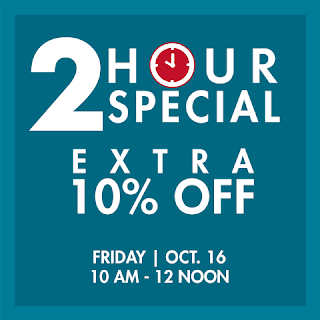 Use your SM Advantage, SM Prestige, and BDO Rewards cardholders to get extra 10% off on Friday, October 16 from 10am to 12nn. Other branch: UNIQLO Amazing SALE at SM City Pampanga, Robinsons Place Manila, and Robinsons Magnolia on the same dates - October 16-18, 2015.